The following is the obituary of Samuel Gray, Samuel Maverick, James Coldwell and Crispus Attucks as it appeared in the Boston Gazette and Country Journal on Monday March 12, 1770. 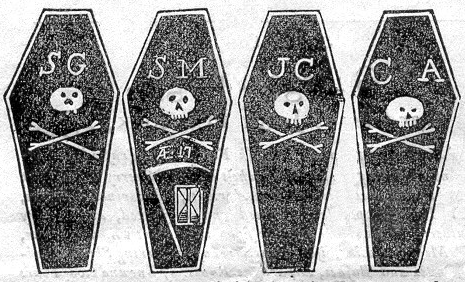 Note that it only shows four coffins. 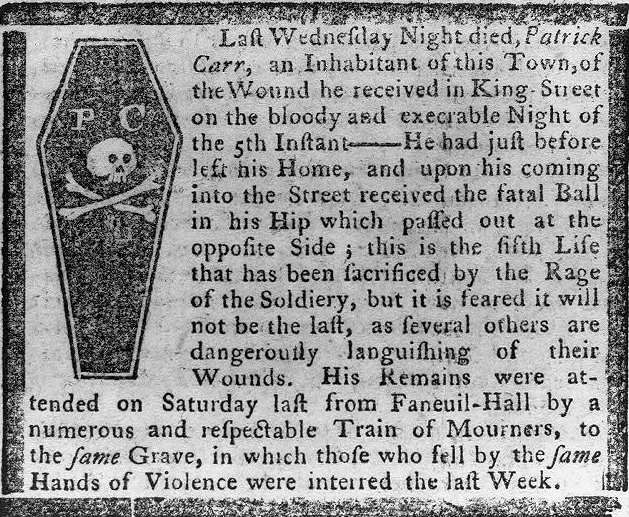 The fifth victim, Patrick Carr, did not die on the day of the Boston Massacre but was wounded and died nine days later on March 14th. 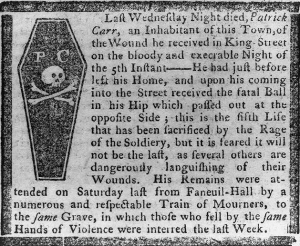 Obituary of Patrick Carr who died of his wounds on March 14th, 1770.